On March 13, a granddaughter was born to the leader of the Crimean Tatar people, the Presidential Commissioner of Ukraine for Crimean Tatar people Affairs, People's Deputy of Ukraine Mustafa Dzhemilev, the girl's mother, Reshida Dzhemileva, reported on the Facebook page. The girl was born in the morning. The child was called Meryem. The baby's weight was 2 kg 700 grams. The father of the girl is Hayser Dzhemilev, and the mother is Reshida Dzhemileva. Mustafa Dzhemilev and his wife Safinar Dzhemileva brought up three children. Now they have three grandchildren. On March 15, a newborn granddaughter of the leader of the Crimean Tatar people was released from the Kyiv clinic, QHA correspondent reported. 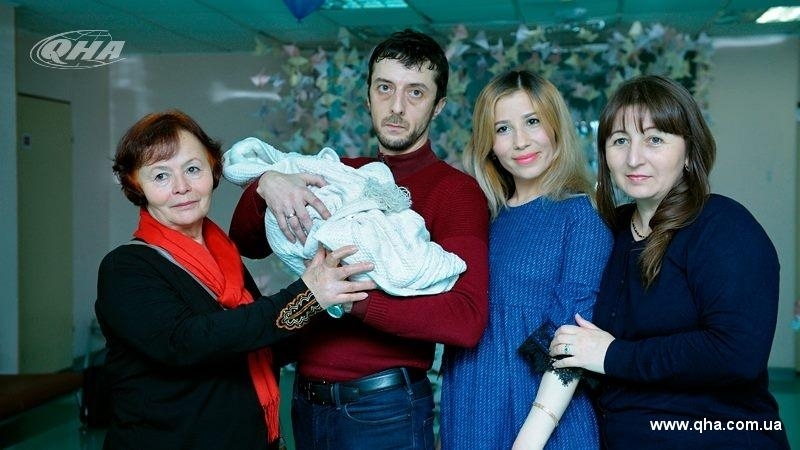 Relatives and friends of the family came to congratulate the happy parents of the baby - Reshida and Hayser Dzhemilev. Reshida Dzhemileva said that she feels well. Mustafa Dzhemilev's wife Safinar Dzhemileva, grandmother of the baby, noted that Mustafa Dzhemilev will see the girl when he returns from London, where he was on a visit. “Our girl was called Meryem. Her weight is 2 kg 700 grams. They say she looks like her Dad. We are the happiest grandmother and grandfather, it’s only a pity that the child was born far from home. The son of Mustafa Dzhemilev was also born far from our land when the family was in exile in Yakutia,” Safinar Dzhemileva said.